Where: Enter off Regent St or up walkway from Daniell St. In its inaugural exhibition The Newtown Pop up Art Gallery presents ‘Flight’. 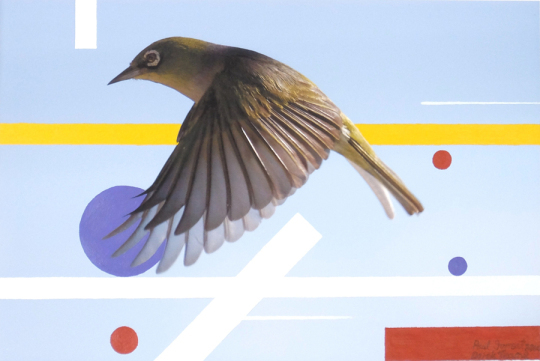 This magical world of birds in flight is a collaboration between Newtown painter Paul Forrest, Auckland photographer Derek Tearne, soundscape artist from Wellington’s Zealandia Matu Booth and live birdsong from the resident birds of Carrara Park. Come and experience the delightful sight and sound world of ‘Flight’.